Does your software need to be 508 / WCAG compliant? We can help you bring your custom applications into compliance. 508 compliance allows for blind and visually impaired people to utilize computers. DragonPoint Software has worked extensively with our clients using JAWS Screen reader (“Job Access With Speech“) to evaluate accessibility and functionality and we have been able to effectively and efficiently bring their existing custom software applications into 508 compliance. 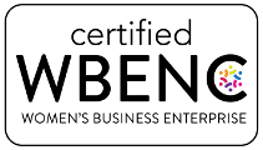 In addition to our experience converting systems to 508 / WCAG Compliance, we are a WBENC certified Women Owned Small Business (WOSB). If you are planning to secure a government contract, being Section 508 compliant is necessary to be chosen as the preferred vendor. If you are a procurement officer, you must follow the 508 contracting requirements. Here’s a link to the government website – for more information.